However, the \addcontentsline does not correctly add the Index to either the Table of Contents, or the list of bookmarks in the resulting PDF. One solution is to write a new command, \immediateaddcontentsline, and this adds the Index to both the TOC and the list of Bookmarks. The Bookmark link works correctly. But in the TOC, the page number is now listed with roman numerals as "xvi" rather than "349". "xvi" is the current page, so it looks like something is mighty confused. It is probably related to the immediate-ness of the new TOC command. Is it even possible to have an Index listed the Table of Contents? Or must I use a different index maker? assuming that \printindex triggers \chapter* and chapters always start on right-hand pages, try inserting \cleardoublepage and then the \addcontentsline. if a chapter can start on either a right-hand or a left-hand page, \clearpage should suffice. and place a \phantomsection before the index, so that the hyperlink does not aim at some content before the index. Not the answer you're looking for? 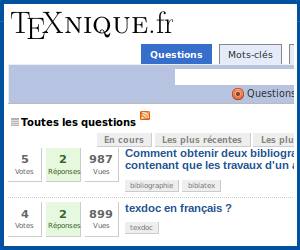 Browse other questions tagged table-of-contents page-numbering indexing or ask your own question. How make an index without referring for each word in the text locally but define a word once globally?